Roads can become a very busy place, especially during certain hours of the day. They are sometimes very congested with several vehicles trying to get to where they need to be. This makes accidents possible if drivers are not careful when they drive. Truck accidents are some of the most dangerous that can happen on the road due to the vehicle’s massive size. They are the largest on the road, weighing as much as 30 times as much as a regular passenger car. Because of their immense size, trucks can be more difficult to control on the road. If a truck driver is not careful, they can cause very serious injuries to other people sharing the road. If you were injured in a truck accident, an experienced attorney in Phoenix can assist your case. A truck driver has an obligation to drive safely when they are on the road so that they do not endanger other drivers. When a driver does not do their job correctly and fails to follow the rules of the road, they can harm many people. Poor driving decisions can seriously injure other people on the road. There are several factors that can cause a truck accident. Some may include. Safety regulations: If a truck driver violates the rules of the road, they may cause an accident. This includes changing lanes improperly, passing other vehicles unsafely, or following too closely behind other vehicles. Reckless driving: If a driver is speeding, it can be difficult for them to control the vehicle and bring it to a stop. 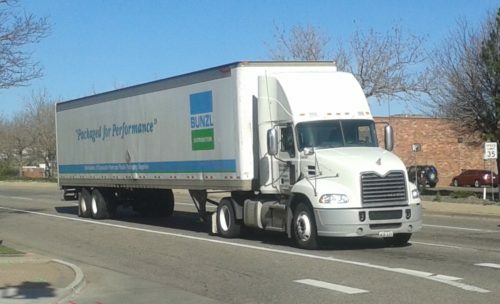 The average truck requires a length of about two football fields to complete a stop. If trucks are reckless on the road, it can be difficult to navigate the vehicle. Poor visibility: Because of their size, trucks have a restricted view of the road. They have large blind spots that can trap other small vehicles and cause accidents. Drowsy driving: Federal law allows truck drivers 11 hours on the road within a 14-hour work day, giving them a maximum of 70 hours a week. If they drive any longer than this, they are breaking the law and can cause an accident due to tired driving. Mechanical problems: Trucks can sometimes fail due to mechanical issues. Some issues can cause accidents. This may include tire blowouts, brake issues, breakdowns, and more. In order to hold another party responsible for an injury after an accident, the injured person must prove the other party was negligent. This requires them to collect evidence that proves the accident and the injury were a direct result of this negligence. Trucks often carry a “black box” that may contain a record of their speed before the accident. It is crucial to have the truck company or an insurance company secure this information before it can be deleted. If you or someone you know has been injured as a result of a truck accident and seek legal representation, contact Weintraub & Weintraub today.